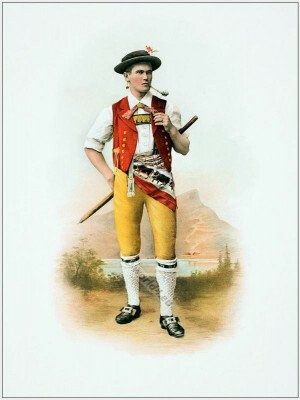 Folk costume of a Man from Appenzell Innerrhoden. The Swiss national costumes of XVII. - XIX. century originals. Switzerland folk costumes from 1896.